ARE YOU LOOKING FOR A PROFESSIONAL HILLSBOROUGH ELECTRICAL CONTRACTOR? When it comes to your electrical wiring, it is important that you don’t allow an unprofessional tamper with them. If your electrical wiring are repaired incorrectly or installed wrong from the beginning, the results could be disastrous. Bad electrical wiring lead to house fires, electrical shocks or future more, costly repairs. Perfect Circuit is a professional Hillsborough electrical contractor that provides electrical repairs and installation services to their customers. If you are looking for a contractor you can trust to handle all of your electrical needs, we are the company for the job. Some of our residential services include aluminum wiring replacements, electrical safety inspections, home generators, electrical wiring, knob & tube wiring, electrical repairs, lighting, panel upgrades and surge protectors. Some of commercial services include electrical wiring in new constructions, local business offices and other commercial properties. We provide our Hillsborough customers with 24 hours, 7 days a week emergency repair services. 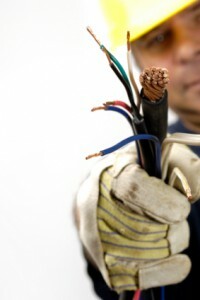 Our friendly electricians will quickly arrive to your property and assess the situation. It won’t be long until they have your power working properly again. You should never allow an unprofessional to work on your home’s electrical wiring. At Perfect Circuit, our professional electricians have attended top schools for electrical repairs, and they have years of experience in repairing electrical wirings. They can provide you with high quality repair services. Some of our electrical repair services include, but are not limited to, ceiling fan repairs, troubleshooting, lighting repair, outlet repairs, and GFCI outlet repairs. With the years of experience and proper training, our electricians can use their troubleshooting skills to pin point the exact problem with your electrical issues. After evaluating the situations, they will be able to repair your electricity quickly. We supply all of our technicians with the proper tools and equipment to make sure that your job is completed professionally. You can count on our repair jobs to be long-lasting and dependable. Lighting is a big part of the electricity that runs through your house. 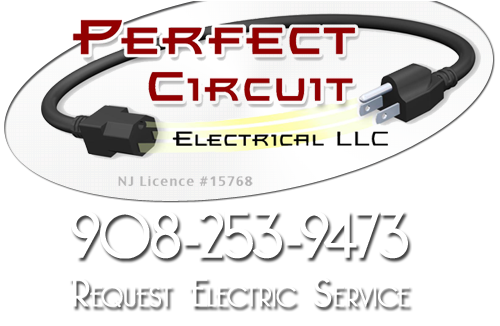 As a professional Hillsborough electrical contractor, Perfect Circuit provides lighting services as well. Some of our lighting services include landscape lighting, lighting installations, security lighting, low voltage lighting and pool lighting. Interior lighting allows your family to move around your house freely after the sunsets, but lighting doesn’t just have to be functions. It can be stylish too. We provide customers with unique lighting opportunities including a chandelier in your dining room or a spot light that will fall on a piece of art. We also provide high quality exterior lighting services. We can add flood lights in the dark corners of your yard for an extra safety feature, or we can add pathway lights to make a garden more enjoyable after nightfall. Exterior lights can be tricky because they have to be weather proof, and the wires have to run through the ground. Our professionals have the experience to install these lights professionally. If you are looking for a Hillsborough Electrical Contractor then please call 908-253-9473 or complete our online request form.